The lack of period has been particularly concerning to me as my last was in the summer and when I was first diagnosed, I was told that if there was no period for three months I would need medication to trigger a bleed, followed by a scan to check my womb lining had properly reduced (PCOS sufferers have an increased risk of endometrial cancer). Last week I finally went back to see the Doctors. Luckily for me, I saw a female Doctor as my Doctor has now retired - I never found him to be particularly sympathetic towards women's health issues, which is why it has taken me so long to go back to see them. Initially I came away from my appointment feeling quite 'meh' towards it all but I feel better having had chance to reflect. 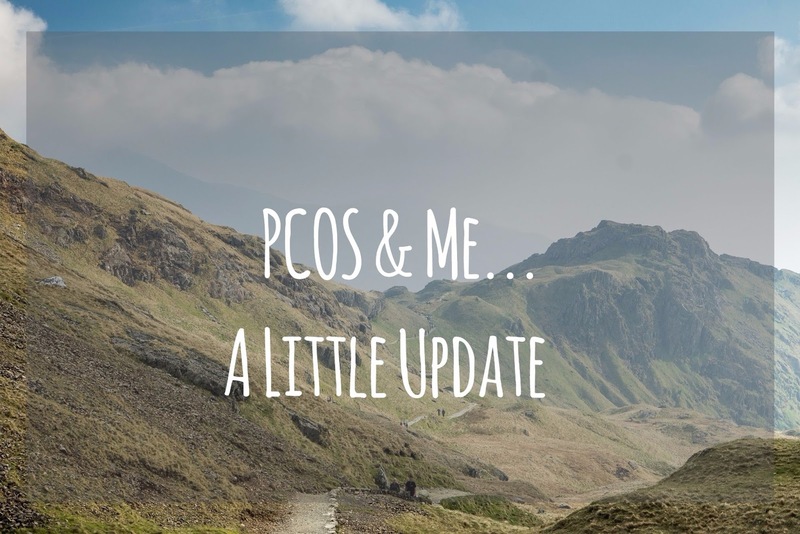 Following my initial diagnosis, I felt very much as though I was being left to fend for myself with improving my health and PCOS symptoms. I was told to lose weight and "... simply eat less and move more... its not that difficult..." And so I went away and tried to lose weight. And failed. I increased my activity levels and was careful with food and still failed. And so, when I went back to see the Doctor I told her I needed help and asked for metformin, which many PCOS sufferers seem to be prescribed as it helps to balance insulin levels. I was again denied it but this time was prescribed Orlistat. Whilst I agreed to give it a try, I was a little unhappy about it as the Doctor didn't tell me anything about the side effects which I later found out about when I did some reading up on it.